Who can attend? Newcomers based in/around Mangaluru limited seats. Facilitators: Dr. Sachin, Harish Usgaonkar. Registration Form: https://goo.gl/forms/O3HH0TSYUXUFZuMi1. Contact Person: Binu Gopalakrishna, Binukottoor@gmail.com, 97398 66947⁠. Basic Information : TISA is an association of Indian people who stammer (IPWS). Its purpose is to collect and disseminate relevant, correct and unbiased information for people who stammer and their families, friends and society. 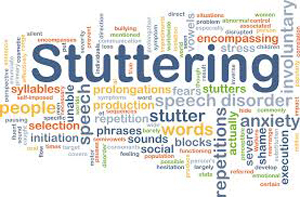 It is a self help movement, where PWS learn to help each other and themselves in the ancient Indian spirit: “This Self is to be achieved through self-effort!” Further, the reason for TISA to exist is to redefine the moment of “stammering”, its meaning and reclaim words like stammerer (hakla). We want to change the rules of the game itself – nothing less. Then. If you stammer, your life must have been a SEARCH. An unending journey, looking for something, someone, which will make you whole. Some treatment, some course, some belief. But who can give us that feeling, that vision, that we are OK – not a defective piece on a conveyor belt? Like Kasturi Deer, we have to return to source one day, trailing the scent, emanating from our own soul.